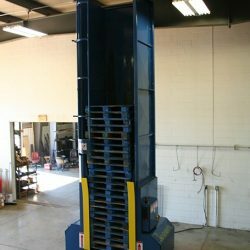 Browse quality used pallet sorting, repair systems, stacking equipment and more. Thanks to a worldwide network of loyal customers, some of our state-of-the-art equipment comes back to us as a result of facility upgrades. In such cases, we’re able to offer this gently used equipment at a significantly reduced cost. 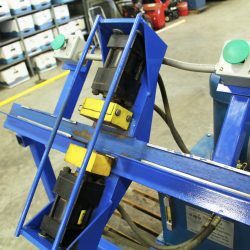 Our inventory of used equipment changes frequently. So, if you’re looking for a specific type of used pallet recycling or material handling equipment, please contact us. If you have AMS supplied equipment that you’re looking to sell, feel free to contact us.